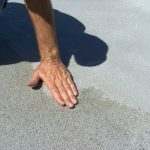 Leaving Water on a Flat Roof: How Long is Too Long? There’s a problem with flat roofs. Water does not run off of it very easily. Particularly with commercial roofs, there’s more of a chance for them to be flat because that is the most common design. It’s affordable and easy to build. Understanding the maximum amount of time that water should be allowed to sit is important because there’s a lot you can do to minimize roofing damage. When there is rainfall, there’s not much you can do about water hitting the roof. You simply allow it to rain. It’s when the rain stops that you have to pay attention to what’s going on. According to the National Roofing Contractors Association, pooled water in excess of 48 hours can start to become problematic. This means that once the rain stops, you have about 2 days to get rid of the standing water or puddles that are on the roof. 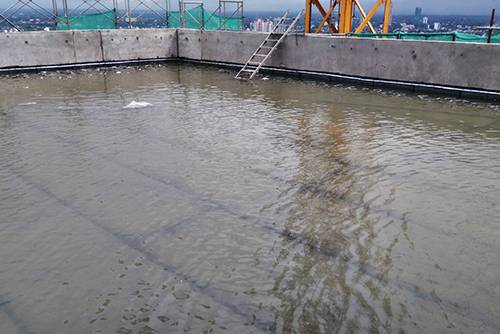 After the 2 days, the water is going to start sinking into the roof system. Depending upon the structure, you could start to see mold grow on wood. After a few weeks, the mold could be so significant that the wood starts to warp. This becomes more and more expensive as time goes on. 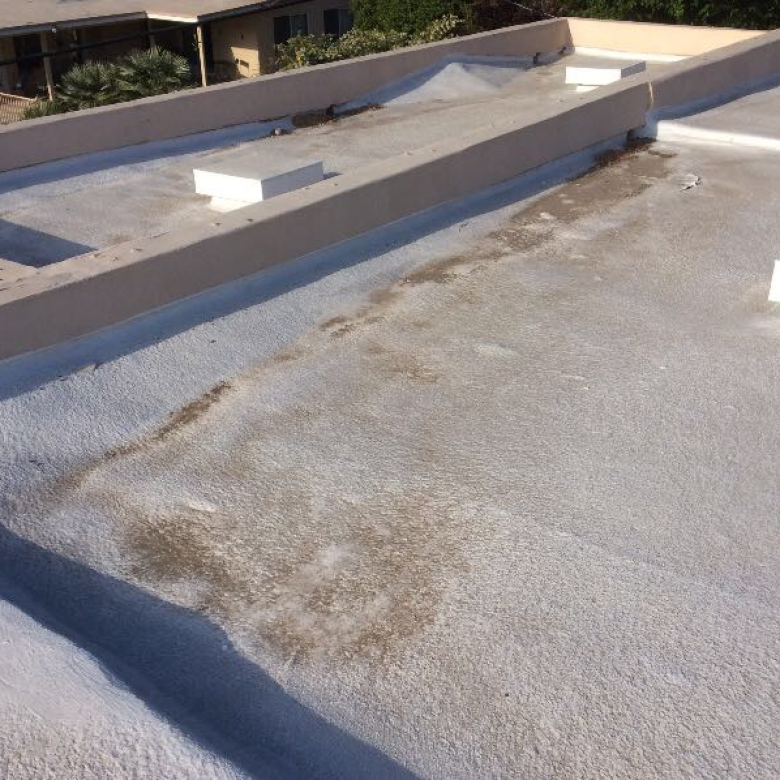 This is why it’s imperative that you don’t allow water to pool on the roof for more than 48 hours after rainfall. 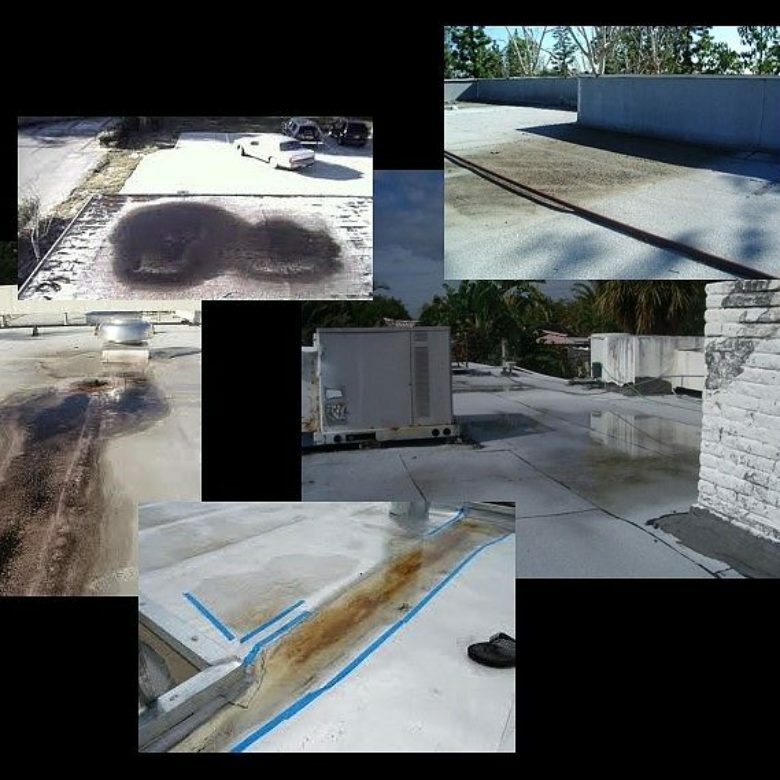 Your goal is to prevent damage to the flat roof. This is done by not allowing the water to pool. As such, you need to get rid of the water that is on the roof. The first option is to change the design of your roof. This is done by adding an actual slope so that the water is capable of running down the inclines. Any time you can improve the natural drainage, it will be better for the overall integrity of your roof. The second option is to fill in the low spots on the roof so that you don’t have to worry so much about pooling. A lot of times, the roof is not as flat as the contractors promise it will be. Additionally, over time, rainwater can cause dips within the roof. These dips will collect rainwater more easily. Each time it rains, the dips will fill with water and instead of rolling off the roof, they will be contained. The longer the water sits within the dips, the greater risk you have of roofing damage and ultimately leaks. While you could go up on the roof with a large push broom each time it rains, it’s not a good use of time or labor dollars. You can’t simply push the water off of the roof after a rainfall because it’s not a realistic expectation. Instead, you need to address the actual problem, which has to do with why the water continues to sit on the roof instead of rolling off. Water will roll off more effectively if you don’t have dips and if you have a positive slope. Modifications can be made to your roof so that this happens. Pay attention to the condition of your roof and how long you are allowing water to pool. You only have 48 hours to get rid of the water, so if that’s not happening right now, it’s time to take action. 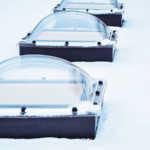 Contact us at RoofSlope today to learn more about how to improve the drainage on your flat roof.